When you arrive at Jomo Kenyatta International Airport you will be met and shuttled to the Lazizi Hotel for overnight before your safari begins. Relax tonight and prepare for the incredible journey ahead. Transfer back to the airport where you will be met and driven through the scenically beautiful Great Rift Valley down to Loldia House, nestling on the shores of Lake Naivasha. A two hour drive from Nairobi. Enjoy a delicious lunch on the lawn overlooking Mt Longonot. Afternoon at leisure on the farm, witnessing the prolific variety of bird-life on the lake and the lake shore. Dinner in the traditional dinning room and overnight Loldia House. Early breakfast before departing to Lake Nakuru National Park. 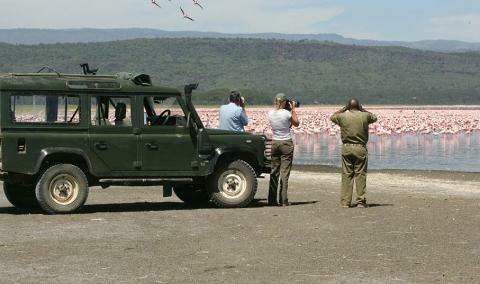 Morning game drive around Lake Nakuru, famous for its abundance of flamingos and large variety of water birds. Lake Nakuru is also one of Kenya’s Rhino Sanctuaries and large numbers of Rhinos are regularly seen, along with good sightings of Leopard. Lunch is served under the Acacia trees overlooking the lake. Returning to Loldia in the afternoon. Dinner and overnight at Loldia House. Breakfast served on the lawns of Loldia House. After breakfast you will be transferred to the Loldia airstrip to catch the Governors Aviation flight direct to the Mara. Arriving at the Governors’ airstrip at approximately 11:00am. You will enjoy a short game drive en route to the camp. Settle in to camp, lunch in camp, after lunch relax in camp and then head out on afternoon game drive to explore Masai Mara National Reserve. Returning to camp before sundown. Pre-dinner drinks around the campfire, a candlelit dinner in the dining tent and overnight at Governors’ Camp. Early morning game drive at dawn, returning to the Camp for breakfast. A 10:30am game drive, returning to the camp for lunch. A 3:30pm game drive returning to camp before sundown. Dinner and overnight Governors’ Camp. 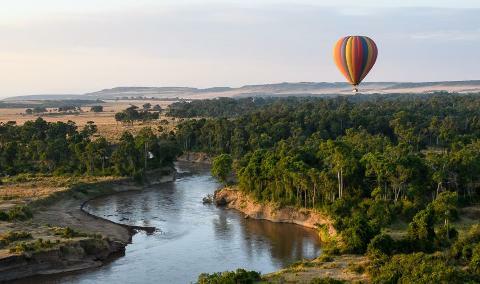 Optional extras available from Governors’ Camps in addition to the three daily game drives, are:- Hot Air Balloon Safari, Guided Game walking safaris with one of the Camps’ resident professional guides, followed by a full cooked champagne bush breakfast. 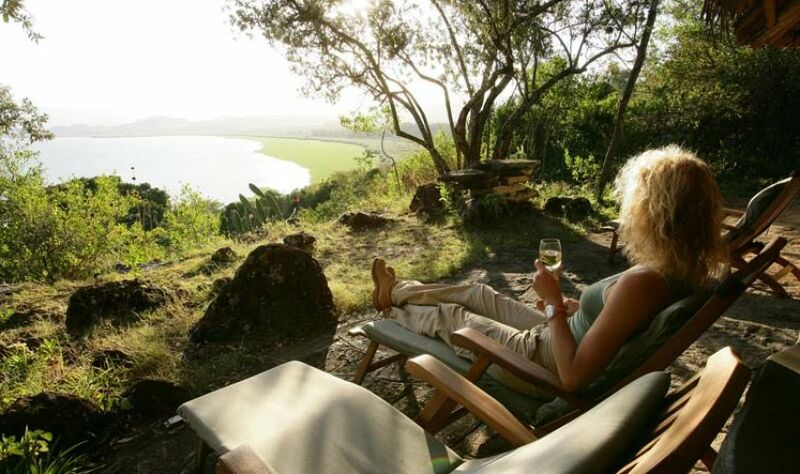 Exciting flying safaris to Lake Victoria for fishing and bird-watching at Mfangano Island Camp can also be arranged. Early morning game-drive at sunrise, followed by breakfast at the camp. Late morning game drive, and a delicious lunch back at the camp. After lunch transfer to the airstrip to catch the scheduled flight departing at 4:00pm for Nairobi. Arriving at Wilson Airport at 5.00pm. Where you will be met and transferred to a restaurant for dinner (Dinner to be paid direct). After dinner transfer to Jomo Kenyatta International Airport for your flight home. Lite Aircraft flights as indicated on itinerary. Meals from Breakfast on Day 2 to the end of the scheduled safari. Exclusive use of the Tour Van with pop up roof tops and a guaranteed window seat. Activities, National park fees, Entrance fees where applicable, for sightseeing excursions specified. Items of a personal nature such as laundry, telephone calls, room service, beverages, extra lunch (if applicable), personal purchases, optional extra activities, etc. Park entrance fees at Lake Nakuru National Park, Hells Gate National Park, or entrance fees to other parks, reserves, conservancies or sanctuaries. Age Limits – Minimum of 3 years – Child sharing rates apply. Recent medical certificate required for guests over 75. For premium costs and coverage descriptions please see our website http://www.safariline.net, home page “Destinations” / Trip Insurance. Or, contact us to provide a quotation.